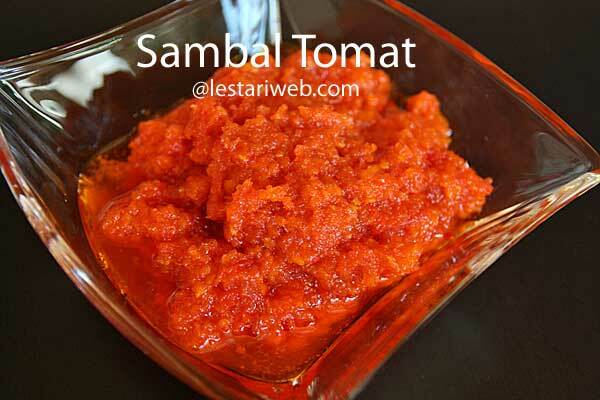 For you who like sambal but do not like dried shrimp paste or terasi ;-), this is a variant of Indonesian Tomato sambal. It is also HOT & SPICY!! Good for Chili fans!! 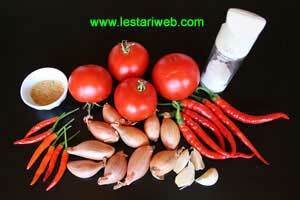 1 Put chilies, shallot & garlic in a blender or food processor & blend into smooth paste. 2 Heat 4 tbsp oil in a Wok or big saucepan. (Don't add oil if already added in a blender). 3 Stir-fry sambal paste over medium heat until the oil begins to appear on the surface, take about 5 mins. Stir frequently. 4 (Sambal is done when the liquid had evaporated & the texture becomes scrambled). 5 Add the chopped tomatoes, continue to stir-fry until tomatoes softened & blended well with the sambal (about 5 minutes). 6 Adjust the seasoning, add salt & sugar to taste. Serve right away or keep in air tight jar and put on fridge for longer use.